Leave a Comment on When applying for a US visitor visa, is it advisable to disclose that the person is my boyfriend? US consular officers get pretty good at being able to tell when a visa applicant is lying; we don’t necessarily know what the lie is, but know that it’s there so will refuse the applicant just on that principle. So it’s best to simply tell the truth frankly and openly. 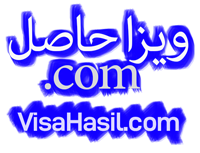 Many, many friends and lovers of US citizens acquire US tourist visas every day. Couldn’t get him out of my mind. I KNEW he was telling the truth. So the next day I asked one of the FSNs to find his application form, we called him, asked him to come back in, sent a cable to Washington asking permission to issue a visa (a procedural formality required because he had no valid passport), and sent him off with my best wishes. A month later who should come striding into the consular section but the young man himself, his US girlfriend with him, to show me that he had returned, she had decided to move to Paris to be with him, and my trust was not misplaced. He gave me a sweet, touching gift – a cheap picture book of Budapest, that I got permission from my boss to accept and still have. Thousands and thousands of visa applicants later, he’s one that I will never forget.